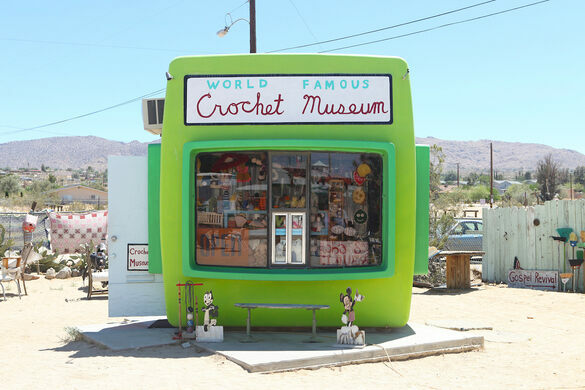 The incredibly appropriately named Shari Elf was not even thinking of her crochet obsession when she purchased the disused photo-processing booth in Joshua Tree, California, that now houses the self-titled World Famous Crochet Museum. 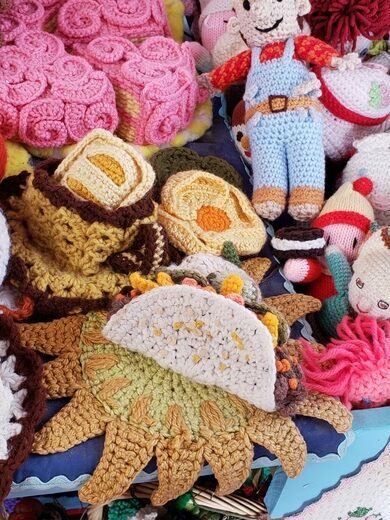 Elf had been collecting crochet items since the early 1990s, years before she decided to purchase the roadside hut that now houses her collection. After just happening on the stand, she purchased it without a real idea of what she would do with it. She later moved it to its current Joshua Tree home and covered it in a layer of lime-green paint. Her collection of crocheted items had been placed in storage, but she carted it out and arranged it along the new shelves she built inside. 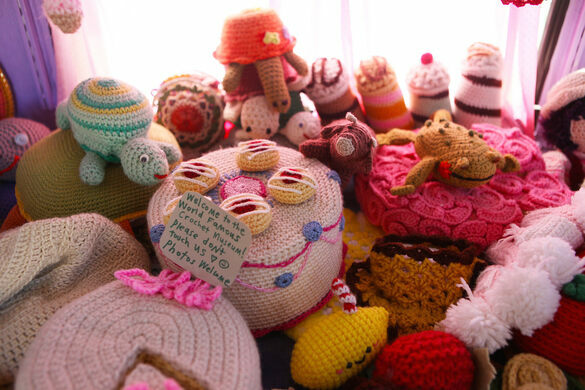 Among the eclectic collection you’ll find just about every conceivable type of item, represented in crochet form. There are animals like poodles, bears, and unicorns. 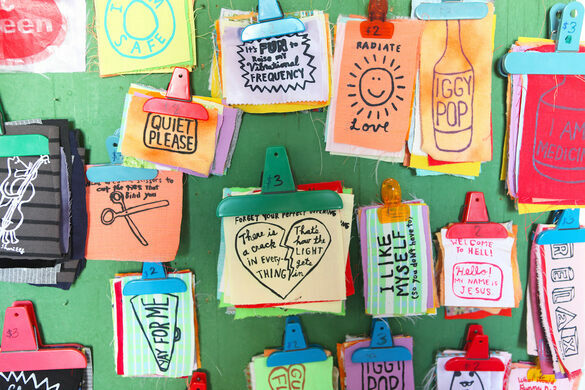 There are also more abstract designs, like smiley faces and lumpy little creations that are less identifiable. The upbeat collection celebrates the eclectic tastes of its owner as much as it does the art of crochet. With few other contenders to for the title, this little roadside oddity may just be as famous as its sign claims. The museum is free and open 24/7. It's located toward the back of a vacant lot, near the Joshua Tree Saloon. From the entrance gate, keep heading to the back of the lot. There is free parking as well.